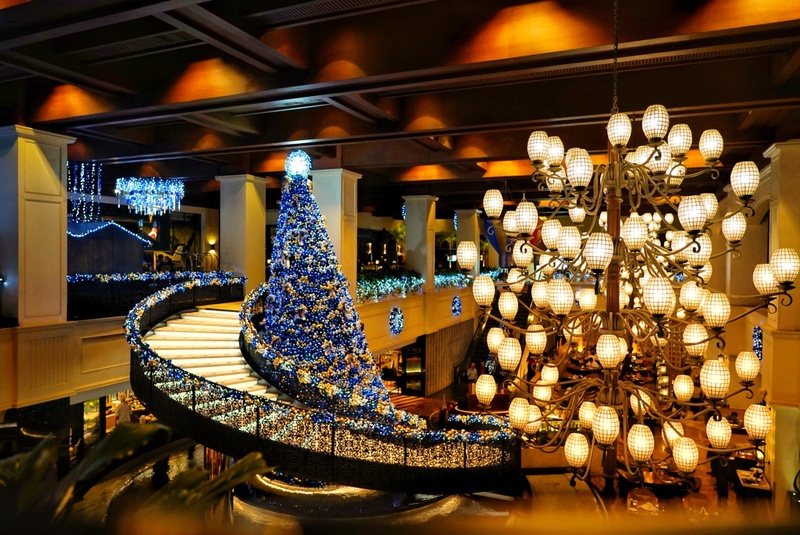 Celebrate the Holidays season at Sofitel Philippine Plaza Manila with Art de Noël featuring The Enchanted Journey. 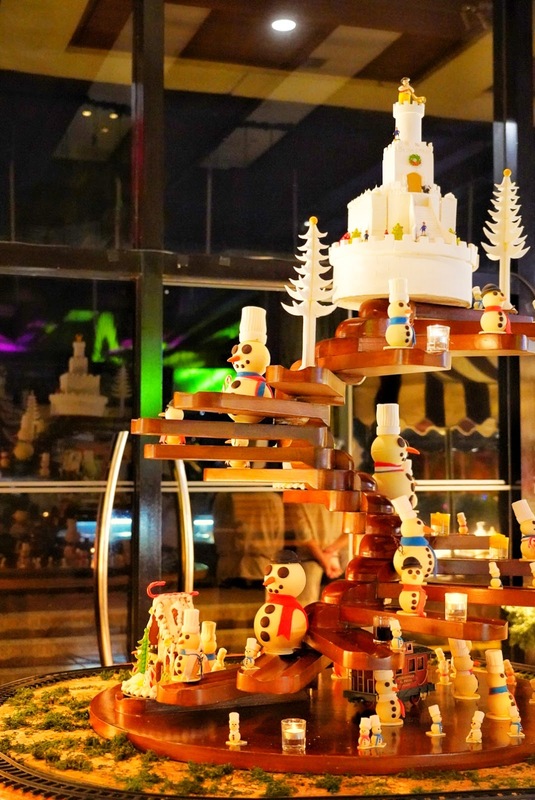 A voyage through the Christmas offering at Sofitel’s Le Marché de Noël featuring traditional Christmas toys, memorable and rich selection of festive culinary treats. Discover a wonderland of seasonal adornments featuring a vintage propeller plane, hot air balloons, a 30-foot Christmas tree and larger than life French snowman visiting with his friends. 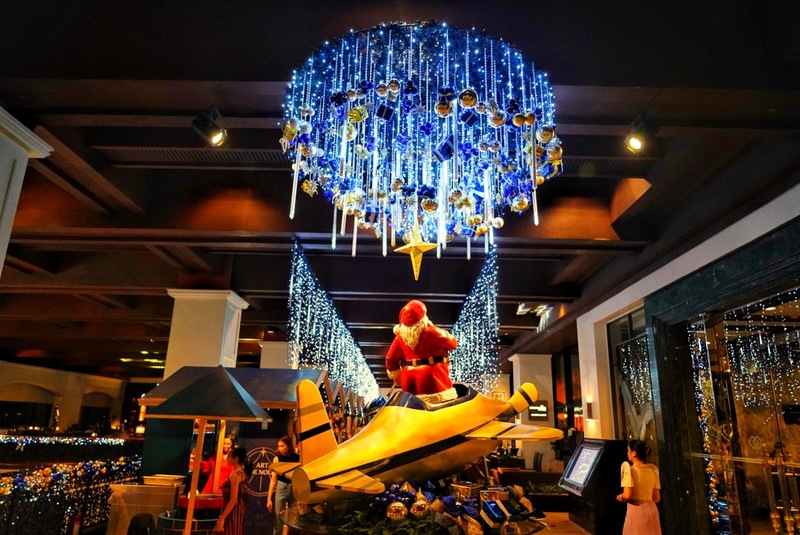 Christmas is not complete without Sofitel’s special animations and a visit from Santa Claus. 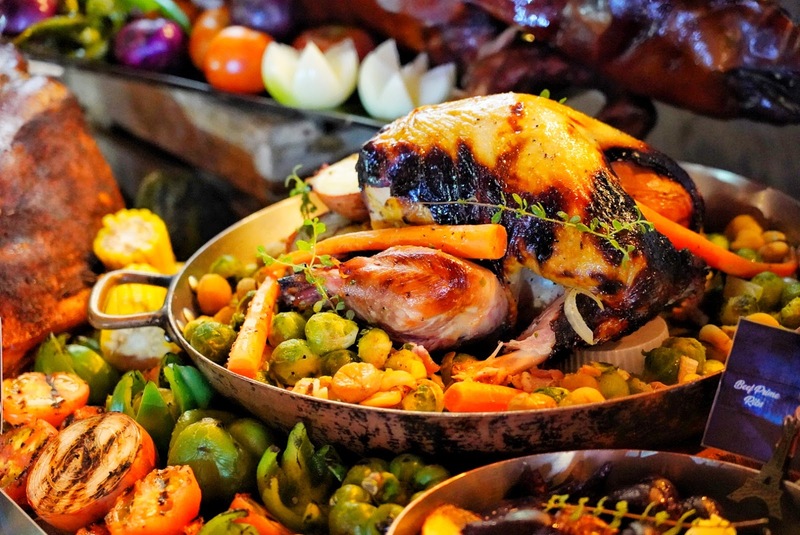 Spiral takes you around the world in a gastronomic voyage of international dishes across 21 dining ateliers. Experience an enchanted journey of taste with family and friends with signature offers including Jambon a l’os, Roast Turkey with Cranberry Sauce, Beef Wellington, Lobster Thermidor, Beef Prime Rib, Foie Gras with Bell Pepper Jam, French Oysters, Savory Capelin Caviar and a rich selection of seafood favorites. 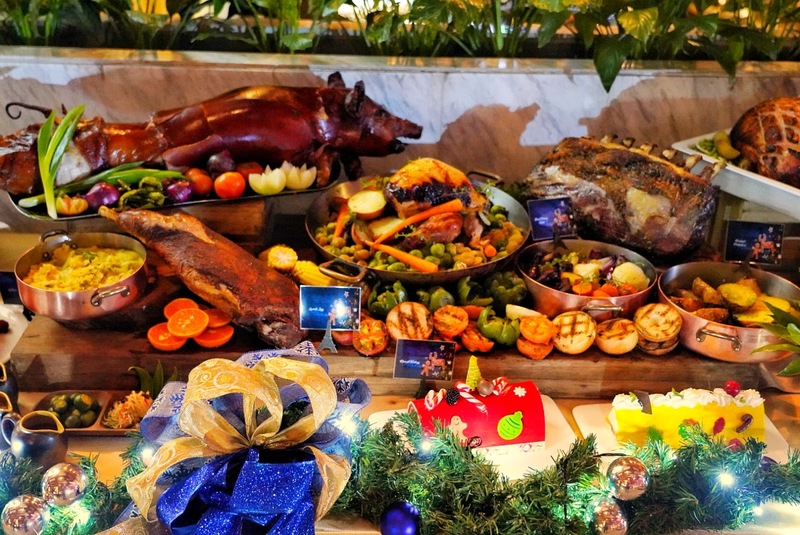 The yuletide selection is enhanced with local favorites including the festive Lechon. 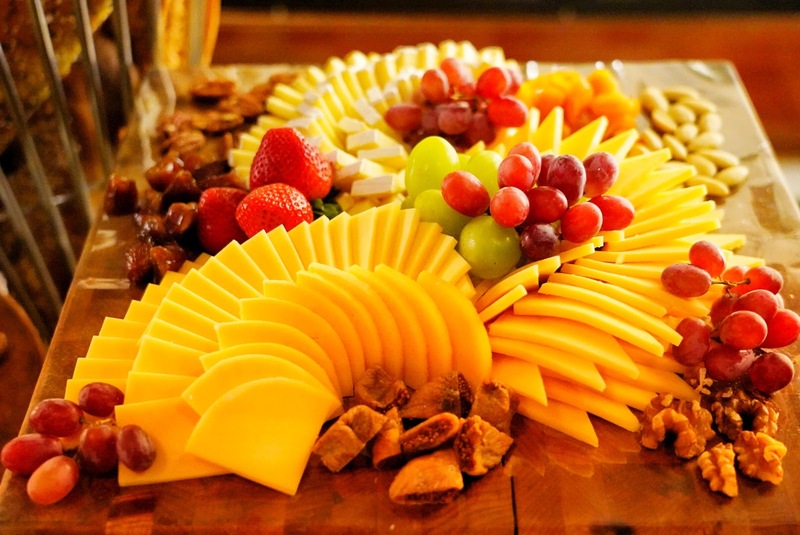 Spiral’s L’Epicerie showcases a rich variety of artisanal cheese ideal for wine pairing as you toast to the holidays. The Chocolaterie and Creamery presents a sweet ending to your Spiral feast with its decadent selection including the Yule Log, Christmas Fruit Cake, Mont Blanc, Panettone and Filipino desserts. Hans Dimayuga and Diday Garcellano of The Voice Philippines serenade our gourmands for a wonderfully sensory and magnifique celebration. 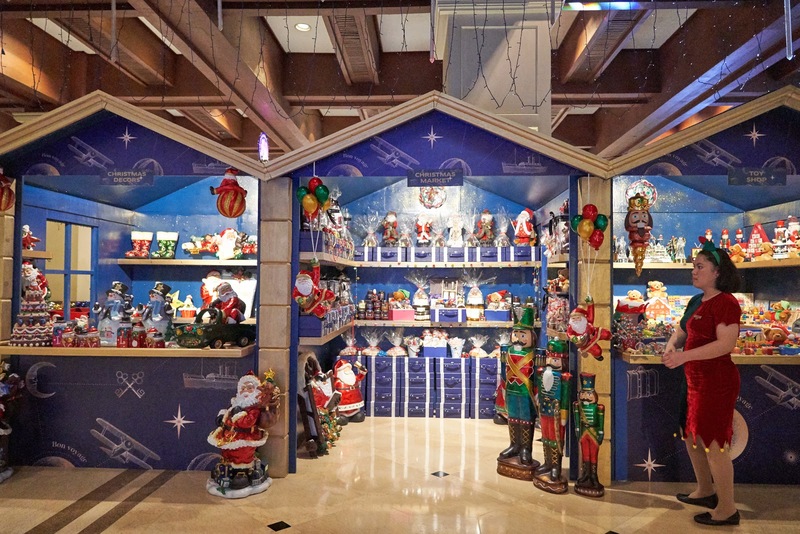 Children and kids can look forward to a fun-filled holiday with a visit from Santa Claus and his little helpers. Jolly St. Nick makes his rounds in search for the children on the Nice List on the 24th of December 2018 from 7pm to 12.30am, Christmas Day. 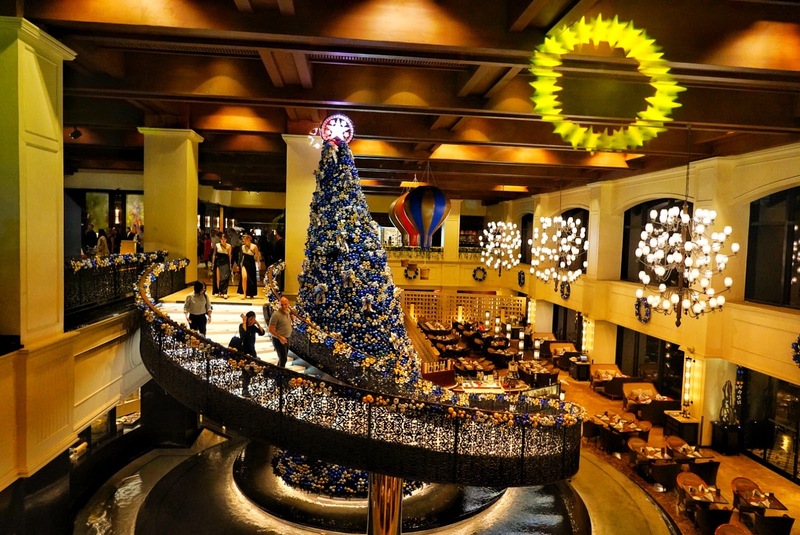 Sofitel Philippine Plaza Manila transports guests to the vibrant and exciting carnival of New Orleans with a Mardi Gras New Year’s Eve Countdown. Featuring a grand selection of gastronomic offers, live musical entertainment featuring Arriba and The Bloomfields, exciting raffle prizes, and a spectacular fireworks display by the bay. Sofitel’s Mardi Gras will be held on the 31st of December 2018 at the luxurious Grand Plaza Ballroom. Come in your bright and colorful Mardi Gras ensemble and enjoy an eventful program with highlights including a lucky draw of gift vouchers to relaxing sojourns to Sofitel Nusa Dua, a magnifique haven in Bali, Indonesia designed in collaboration with renowned Christian Lacroix; and VIE Hotel Bangkok, MGallery by Sofitel located at the heart of Bangkok, Thailand. Other lucky winners will receive luxury gifts from Samsonite, Guerlain, Hugo Boss, Spanx, Nine West, Anne Klein, Beka, Maidenform and airfare vouchers worth Php80,000. For guests dressed to the nines, you may get a chance to win best in costume and a special prize. Welcome the New Year in style with Sofitel’s luxurious celebration in a magnifique evening led by host Issa Litton. 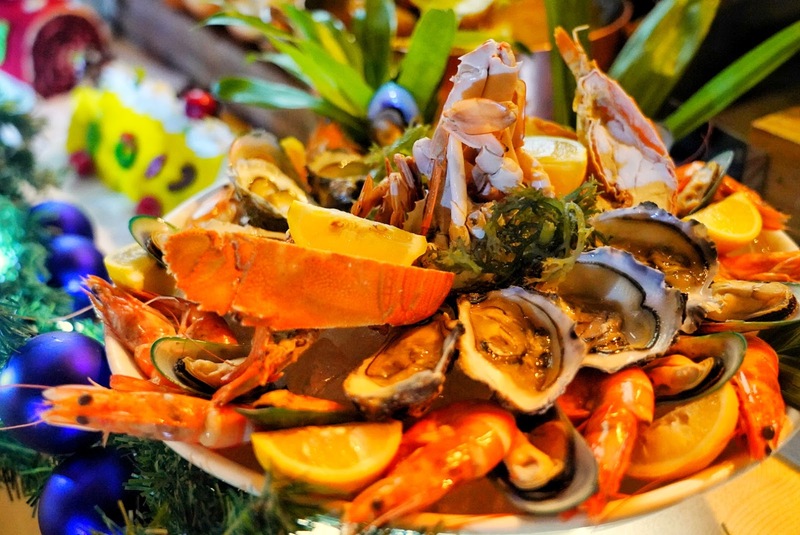 Mardi Gras is available at Php5,799 per person inclusive of applicable government taxes and service charge with a sumptuous selection featuring signature French dishes with free-flowing cocktails, sparkling wine, beer, softdrinks and iced tea from 7pm at the Grand Plaza Ballroom. The New Year celebration continues at Le Bar for an after party with musical entertainment of the DJ Joker. Cover charges apply. 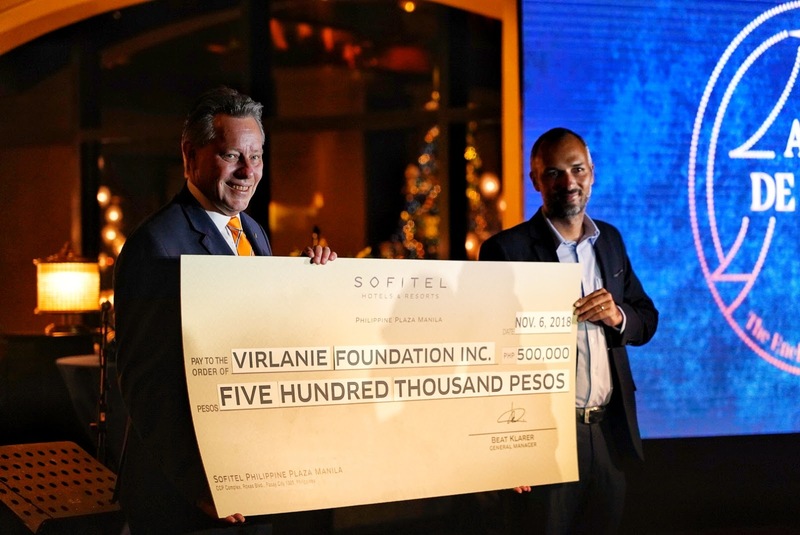 Mardi Gras is presented in partnership with SO Sofitel Bangkok, VIE Hotel Bangkok MGallery by Sofitel and Sofitel Bali Nusa Dua Beach Resort, Samsonite, Guerlain, Spanx, Maidenform, Nine West, Anne Klein, and Beka. Welcome 2019 in a luxurious getaway to your urban oasis of choice. 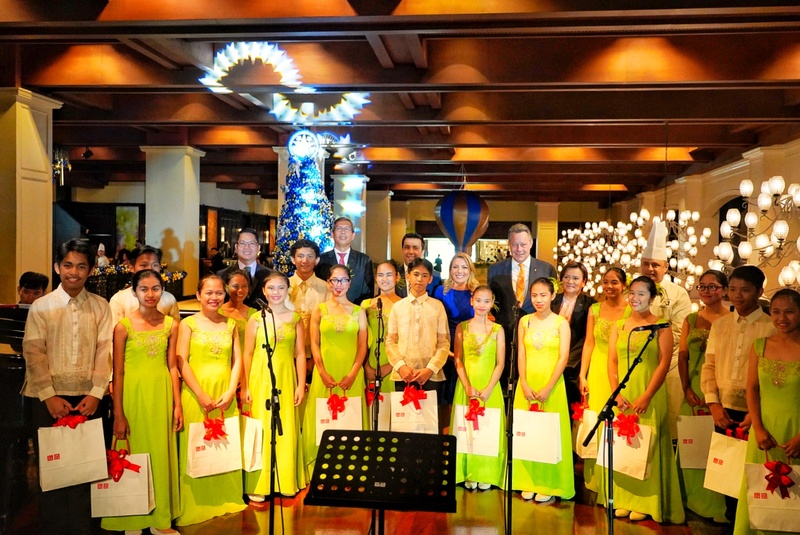 Avail of Sofitel Philippine Plaza Manila’s New Year’s Special which features an overnight stay with dinner tickets for 2 adults to the Mardi Gras New Year’s Eve Countdown at the Grand Plaza Ballroom, New Year’s Day breakfast for 2 adults and 2 children (11 years old and below) at Spiral, complimentary in-room family movies, La Boutique voucher worth Php500, Le Spa voucher worth Php500 and Vietura gift certificate worth Php1,500. Rates start at Php15,000 subject to applicable government taxes and service charge. Minimum stay of two (2) nights is required. Experience this holiday special with rates applicable from December 30th 2018 until January 1st 2019. For inquiries and reservations, please call +63 2 573 5555 or email H6308@sofitel.com. Welcome 2019 with a gastronomic celebration as Spiral transforms into an exciting Mardi Gras carnival to usher in the New Year. 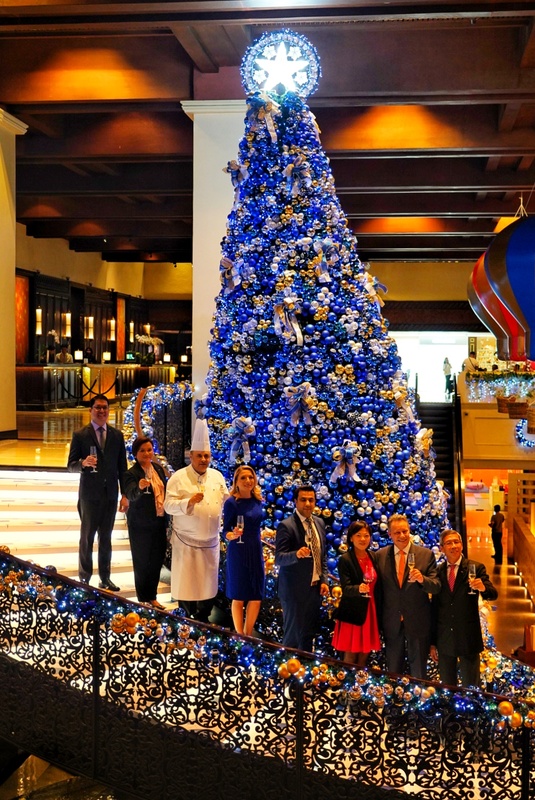 Indulge in an upgraded selection of festive favorites, a glass of Nicolas Feuillatte champagne and live musical entertainment featuring The Voice Philippines’ Hans Dimayuga and Diday Garcellano. Lucky guests get a chance to win exciting prizes including an iPhone 8 and a trip for 2 to France. Spiral’s New Year’s offers are inclusive of applicable government taxes and service charge. 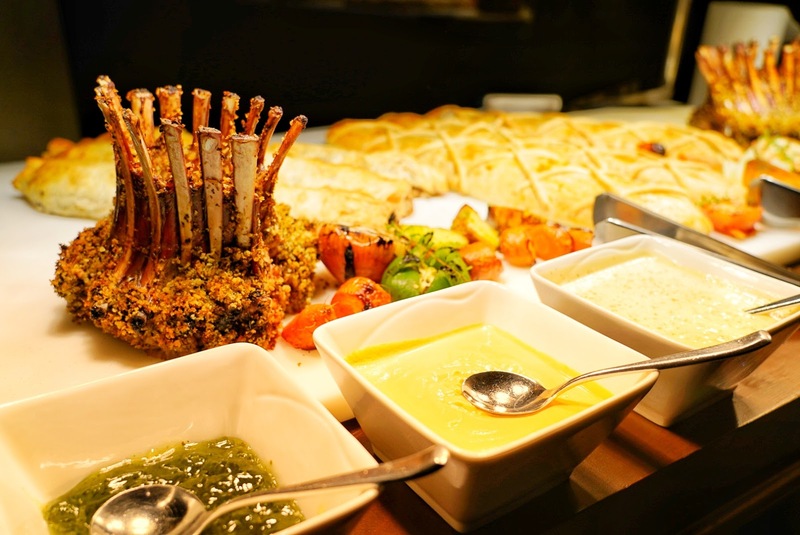 Dinner specials are available from 6:30pm to 11pm and Spiral’s New Year’s Day Brunch is available from 12pm to 3pm. Celebrate from the best spot to welcome 2019 with Sunset Bar’s New Year’s Eve Countdown Special. Enjoy a lavish bayside feast including signature barbecue specialties and festive dishes including Lamb Chops, Beef Tenderloin, Foie Gras with Balsamic Glaze and Pineapple Chutney, U.S. Prime Rib, Roast Pork (Lechon), Peking Duck, Assorted Dim Sum, Fresh Oysters, Salmon Belly, Lobster, Sea Water Tiger Prawns and New Zealand Mussels. Pair your dishes of choice with free-flowing wine, cocktails, soft drinks, beers and a round of champagne to toast to the New Year! The evening’s highlights include a lucky draw featuring gift vouchers to relaxing and lavish sojourns to Sofitel Bali Nusa Dua, beautifully designed in collaboration with Christian Lacroix and located in picturesque Bali, Indonesia; VIE Hotel Bangkok MGallery by Sofitel located at the heart of Bangkok, Thailand. Other lucky winners will receive luxury items from Samsonite, Guerlain, Spanx, Nine West, Anne Klein, Beka, Maidenform and airfare vouchers worth Php80,000. Rate is set at Php8,000 per person, inclusive of applicable government taxes and service charge. Take center stage in the first party of 2019 as Le Bar presents its annual New Year’s Countdown After Party. DJ Joker spins a pulse-racing playlist as you party until the break of dawn with featured cocktails, shooters and a selection of premier wines. Le Bar’s After Party tickets are available at Php800 per person with one round of your choice of cocktail or draft beer. Rate is inclusive of applicable government taxes and service charge. Party starts from 11pm to 2am the next day. Admission is free for Mardi Gras New Year’s Eve Countdown ticket holders.